Today is February 14th, Valentine's Day. It is a time to honor not just your own Sweet Baboo, or the greeting card company billionaire geniuses who created this day, but really, it's a time to celebrate all who have ever loved. And, in particular, let's celebrate the characters from books who taught us about love. Even though "books" are going extinct in like two years, I think we can all agree that virtually all of history's greatest romances (except for Justin & Kelly) have come from the world of literature. But which literary couple is the most loving? To answer this essential question, let's use my favorite way of ranking things, the NCAA Basketball Tournament bracket! I have seeded and matched up 32 of history's most heart-rending romances (16 from old books, 16 from new books), so now let's see which couple from the pages is one for the ages! This is an easy first-round match-up for R & J. Tristan and Isolde are basically just "Boring Romeo and Stupid Name Juliet." I couldn't even finish the Wikipedia article about them. I think they die at the end? I don't know, I couldn't bring myself to care. Which Greek myth scenario is more tragically romantic -- looking back at your beloved like right after Hades tells you, "whatever you do, DON'T look at her or she'll be dead forever," or totally abandoning your girlfriend on an island? Okay, fine, the first one is obviously more tragically romantic. But which one is more... gangsta? WINNER: Theseus & Ariadne. Come on -- it's the year 2013! Abandoning girlfriends on islands is a big part of our dating culture these days. WINNER: Rhett & Scarlett. At least Rhett was truly devoted to Scarlett! You can't really say the same for Penelope. I mean, you know she was getting it on with at least like 35 of those luscious suitors. The doomed leads of F. Scott Fitzgerald's The Great Gatsby versus the doomed leads of Ernest Hemingway's The Sun Also Rises! Pardon my crudeness, but I'll take Gatsby's broken heart over Jake's broken...you know...the other thing besides hearts that guys have that pumps blood and goes, "Ooooh! I want!" around women. Two hot young couples that had their relationships ruined by trees! The battle of shameful affairs that take place in societies where shameful affairs are seen as bad! So how was each lady punished as a result? Anna Karenina had to have her train track moment, and, you know, that can't have been fun. But The Scarlet Letter's Hester had to suffer in two huge ways: both by having to wear the cloth 'A' around town and by having to give birth to a tiny devil baby. WINNER: Hester & Dimmesdale in the upset! I basically always vote for tiny devil babies. This is the the All-Couples-That-Aren't-Very-Attractive match-up. Jane and Rochester are oddly steamy, though. Maybe it's the secret crazy wife in the attic that spices things up? WINNER: Jane & Rochester, and really, normal-sized noses. 2. Elizabeth Bennet & Mr. Darcy vs. Beatrice & Benedick from "Much Ado About Nothing"
Both of these love stories begin with people who don't really like each other that much spewing barbs back and forth, but while "Much Ado" also pretty much ends that way, Pride & Prej ends with a sopping wet, lake-soaked Colin Firth. WINNER: Lestat & Louis. Wow -- that was surprisingly easy. I guess Tom Cruise & Brad Pitt feasting on each other's necks is sexier than Kristen Stewart & Robert Pattinson pretending to be in love for media attention. Who'da thunk? WINNER: Frog & Toad. As far as I'm concerned, that's the greatest love story of our time. Or any time. Sorry, every other couple -- you're about to get destroyed. BY AMPHIBIANS WEARING CARDIGANS. Like Scarlett & Rhett, these are two more relationships that took a looooong time to develop. I like Sayuri & Chairman because of that part at the beginning where he buys her an ice cream when she's like ten years old, and while that's sort of creepy, it's still better than pulling a Florentino and having a bajillion affairs before you land with the girl of your sueños. WINNER: Sayuri & The Chairman. And endless "tea ceremonies." 4. Wesley & Buttercup from The Princess Bride vs. 13. Frodo Baggins & Samwise Gamgee from Lord of the Rings. Which lover shows more complete devotion? Yeah, Wesley says, "As you wish," to Buttercup like every five seconds, but Sam refers to Frodo literally only as "Master." WINNER: If I don't pick Augustus & Hazel here, then an army of millions of John Green fans, a.k.a. tween girls, will storm my house and take me prisoner. They will strip me down, cover my body with Lisa Frank stickers, march me to the local mall, behead me, and mount my head on a pike outside of a Claire's. I really don't want that to happen. WINNER: Generic Nicholas Sparks lovers. Again, I'm terrified of tween girls coming at me with torches and pitchforks. I can't bring myself to disappoint them. And by not picking Dan Brown here, I'm really only disappointing his number one fan... my mom. 7. Ron Weasley & Hermione Granger vs. 10. 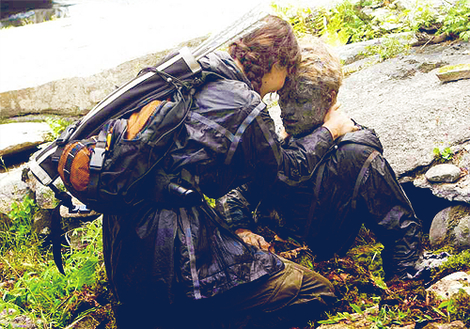 Katniss Everdeen & Peeta Mellark. The match-up of the Really Competent Girls and the Loser Dudes who they Tolerate for Some Reason. I gotta go Ron & Hermione, here, though. Think of all the secret hooking up they did behind Harry's back for like seven years! They deserve to be rewarded for that. 2. Harry Potter & Ginny Weasley vs. 15. Harry Potter & Cho Chang. I'M TEAM CHO. OBVIOUSLY. ALL YOU NEED TO KNOW ABOUT A PERSON IS THEIR STANCE ON THIS ISSUE. GINNY IS UNDEVELOPED AND YAWN-INDUCING, THEREFORE ALL PEOPLE WHO WANT HER TO BE WITH HARRY ARE UNDEVELOPED AND YAWN-INDUCING. CHO IS A BEAUTIFUL WINNER. HER FIRST KISS WITH HARRY WAS THE MOMENT WE ALL GREW UP. What's the more difficult beast to deal with as a couple -- a big, scary Minotaur...or the in-laws? Am I riiiiiiight? Saddest part of Scarlett & Rhett's relationship: when their tiny daughter dies in a horse-jumping accident. Saddest part of Gatsby & Daisy's relationship: when they look at some nice silk shirts and cry. Just ask yourself this: what's the hotter place to secretly hook up -- at a 1940s all-boys boarding school, or in a Puritanical Pilgrim village? WINNER: Finny & Gene. Consider this -- their hookups were so hot that A Separate Peace author John Knowles didn't even write any of them into the book itself. He just made it really, really obvious that Finny and Gene were hooking up. WOW. Tough call. Okay, here's how we'll settle this. You know how they had those "goofy monsters take over Victorian era romances" books a couple years ago? Stuff like, Pride & Prejudice...and Zombies! Well Jane & Rochester didn't need that. They already had a secret crazy in the attic! And nothing makes a relationship work like a secret crazy in the attic. WINNER: Jane Eyre & Rochester. Yes, I'm aware that all of womankind is going to boycott me forever for not picking Darcy. Frog and Toad don't need to spend centuries eating each other and fighting over ten year-old Kirsten Dunst to stay happy. Frog and Toad are happy just taking the occasional tandem bike ride and feeding each other one cookie too many. To me, that's real love. I just closed my eyes and imagined each couple spooning. Sayuri & Chairman? It just didn't work. But Frodo & Sam? How badly would you want to be part of that tiny, furry-footed cuddle sandwich? This is so difficult. How can I possibly pick between John Green's good-humored, making-the-best-of-it teenage terminally ill couple and all of the times Nick Sparks has written about the exact same thing? I can't make this call. So I'll let my dad make the decision. When he saw The Notebook, he wept like a tiny baby boy with a boo-boo, and he won't know what The Fault in Our Stars is for two years until the movie version with Zac Efron comes out. So...Sparks over Stars, by default. 7. 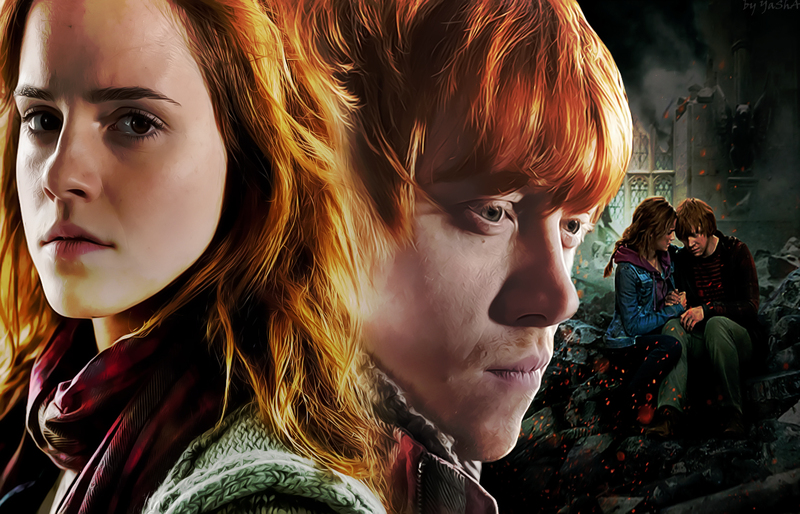 Ron & Hermione vs. 15. Harry & Cho. We'll use the same litmus we used a few match-ups back. Where's the better place to hook up for the first time -- under some wizardly mistletoe? Or IN THE CHAMBER OF SECRETS?!? Both characters dying > one character dying and the other character going back to live with her abusive, white supremacist husband. Tenth grade Teddy: "So if Jane & Rochester have such an exciting romance, then why is Jane Eyre the most boring book ever?" Current Teddy: "That's a good point, tenth grade Teddy." Tenth grade Teddy: "You wanna go eat Hot Pockets and play Super Smash Bros. Melee?" Current Teddy: "Yes, tenth grade Teddy...yes I do." What's cuter -- piggyback riding up Mount Doom together? Or sitting in a tree reading books together at slightly different heights? Followed by sitting on a big rock with arms around each other? Followed by RECEIVING MAIL FROM A SNAIL? No contest, right? A snog to remember > A Walk to Remember. All right, real talk. Deep down, everyone knows that the only reason Ron and Hermione even exist as a couple is because halfway through writing book 4, J.K. Rowling was like, "oh crap, teen girls love my books. I better set two of my main characters up for a not-quite-plausible relationship." But Frog and Toad? 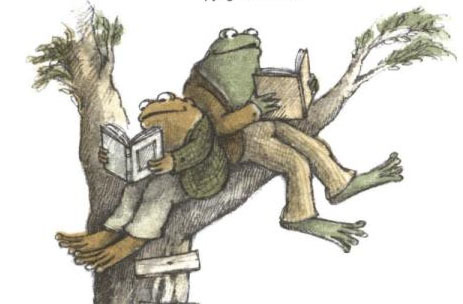 Frog and Toad are DESTINED. 1. Romeo & Juliet vs. 9. Frog & Toad. Look, guys -- it's not even close. Romeo & Juliet are a couple of 13 year-olds who got carried away with their hormones and helped by an inexplicably enabling Friar. They had their moment, it lasted like five minutes, and then it ended. But Frog & Toad? Frog and Toad are a lifetime of love. Frog and Toad are Sundays spent kite-flying with your number one bro. Frog and Toad are staying hidden under the sheets for hours in an attempt to good-naturedly scare your BFF. 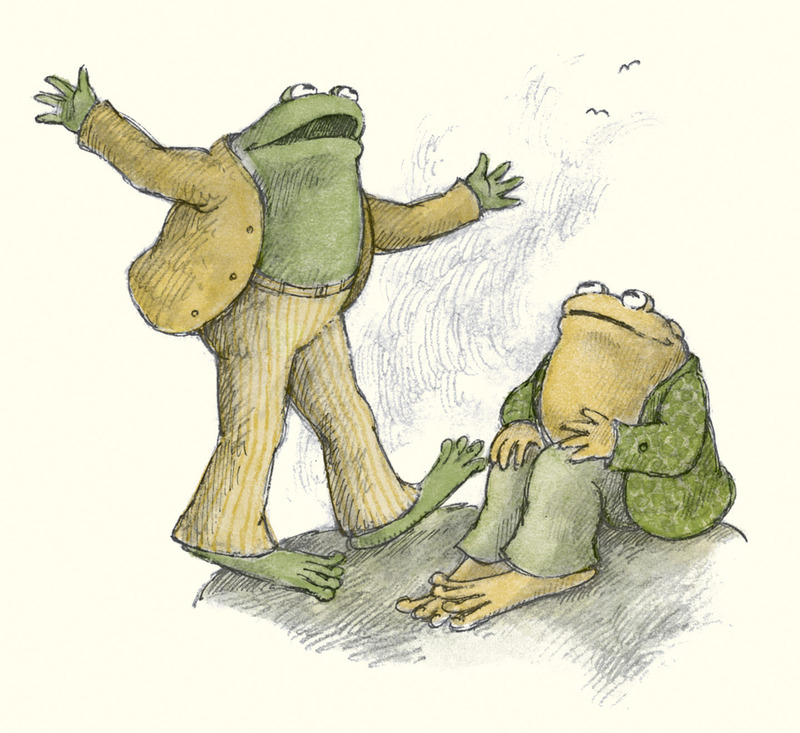 Frog and Toad are jumping up and down and clapping with glee for no reason. Maybe they're just platonic, romantic life partners. Maybe they're something more. All I know is -- THAT'S WHAT I WANT IN A LOVING RELATIONSHIP. I want what Frog has. I want what Toad has. MVP: Being friends first, lovers second.